Jobbie Lewis Clark obituary. Carnes Funeral Home. 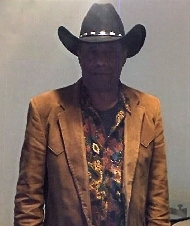 Jobbie Lewis Clark, 78 passed away Wednesday, march 27, 2019 at his home in Houston, Texas. Jobbie was born November 19, 1940 to Nehemiah and Mary Clark in Longview, Texas. He was the youngest6 of three children. He graduated from Mary C Womack High School. While in high school he was voted most handsome in his class. He married Joann Stinson in 1961. He attended Texas Southern University where he received a football scholarship. The national Who's Who program recognized Jobbie Clark for his outstanding academics, leadership and community service. Jobbie was employed at Lyondell for many yearsuntil retiring in 2002. Both of Jobbie's sisters preceded him in death. Mozell Wagnr from Tucson, Arizona and Zethor Wilkins from Dallas, Texas. Jobbie is survived by his children: Donna Johnson, Jobbie L Clark, Keven Clark and Paula Shepherd. Grandchildren: Manuel Clark, Kahla Shepherd, Kasey Shepherd, Kourtney Ridley, Everiel Johnson, Kenon Clark, Keven Clark and Calvin Clark. Great Grandchildren:Dianna Clark, Khamil Clark, Zyun Chappel , Tye Kasey Baxter, Jase Malik Ridley and Dakota James Clark. His nieces are Myrtle Blackwell, Connie Williams and Kimberly Morrison. His Nephew is Floyd Bonner. He also left behind many wonderful friends who truly cared about him and respected his opinion. Jobbie Clark had a passion for cooking and playing dominoes. He was a mentor to m any people and a leader in his community. Jobbie was loved by many and he will be sorely missed.